Nainital is a Himalayan resort town in the Kumaon region of India’s Uttarakhand state, at an elevation of roughly 2,000m. 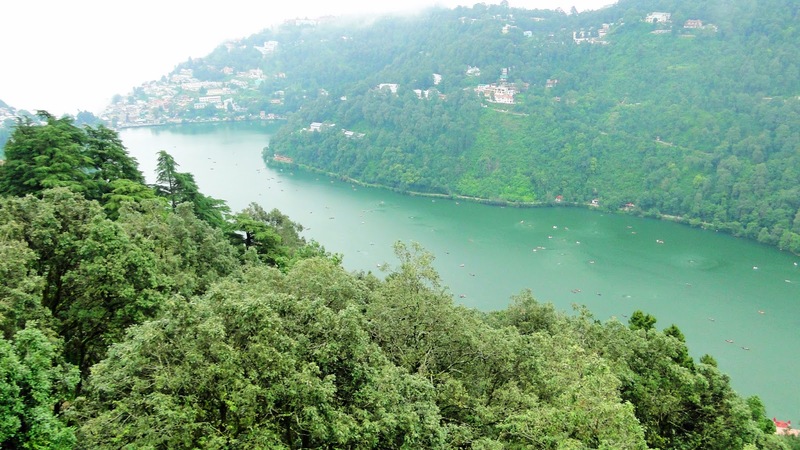 Formerly a British hill station, it’s set around Nainital Lake, a popular boating site with Naina Devi Hindu Temple on its north shore. A cable car runs to Snow View observation point (at 2,270m), with vistas over the town and mountains including Nanda Devi, Uttarakhand’s highest peak. 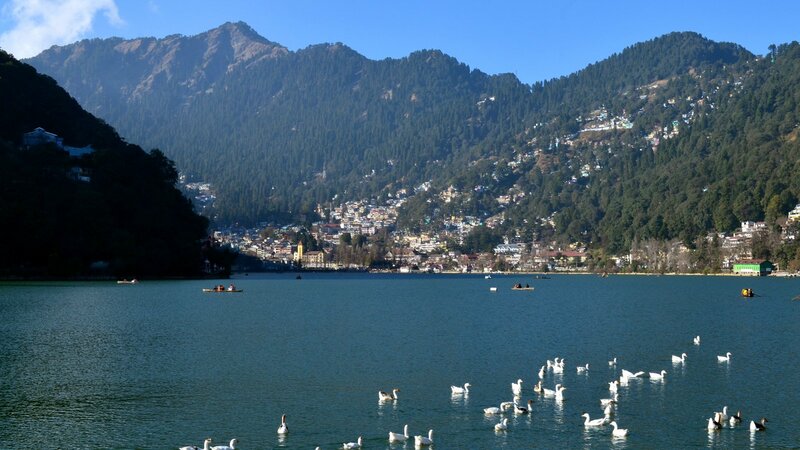 Situated at an altitude of 2,084 metres (6,837 ft) above sea level, Nainital is set in a valley containing a pear-shaped lake, approximately two miles in circumference, and surrounded by mountains, of which the highest are Naina (2,615 m (8,579 ft)) on the north, Deopatha (2,438 m (7,999 ft)) on the west, and Ayarpatha (2,278 m (7,474 ft)) on the south. From the tops of the higher peaks, "magnificent views can be obtained of the vast plain to the south, or of the mass of tangled ridges lying north, bounded by the great snowy range which forms the central axis of the Himalayas. Welcome to Maple Residences. The Maple Residences on Mall Road is part of a large heritage building called the Bank House, which in the 1930's belonged to the famous hunter Jim Corbett, where he would occasionally come and live. The building being situated by the bank of the Naini lake gave the name Bank House to the building. Our hotel has 17 total no of rooms. 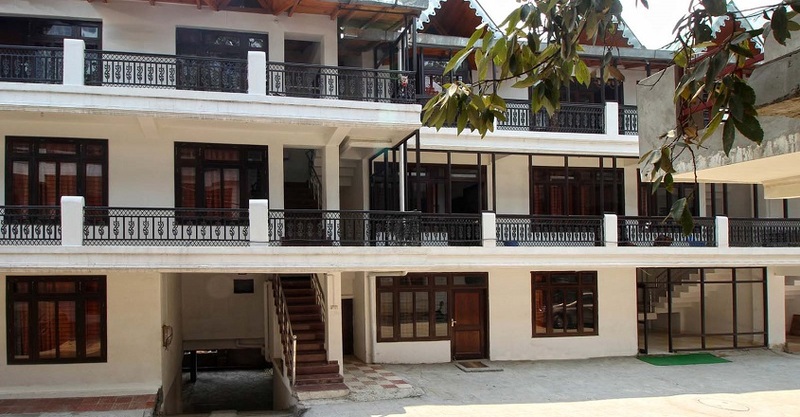 Offering complimentary internet access and breakfast service, Lorent Manor is a value for money hotel in Nainital, placed 0.5 km away from the Nainital Lake. Roadways Bus Stand Nainital is the nearest travel hub to the property, situated 1.5 km away. 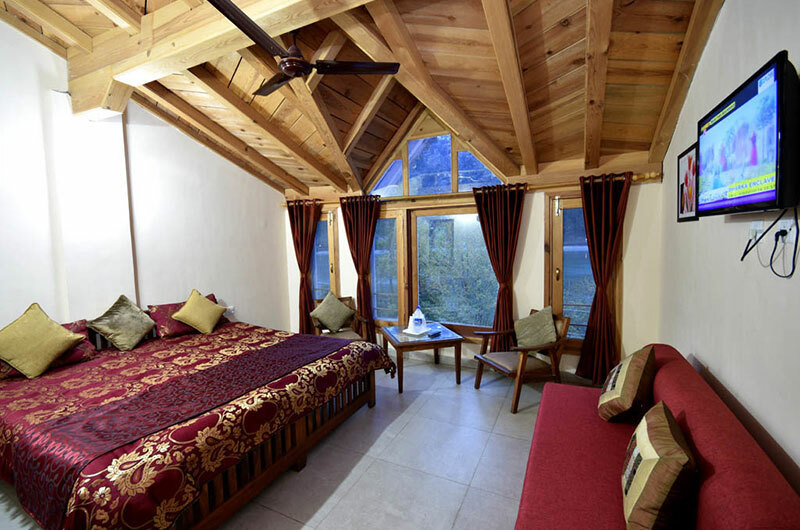 This 3-storied property in Nainital comprises a total of nine well-appointed rooms.